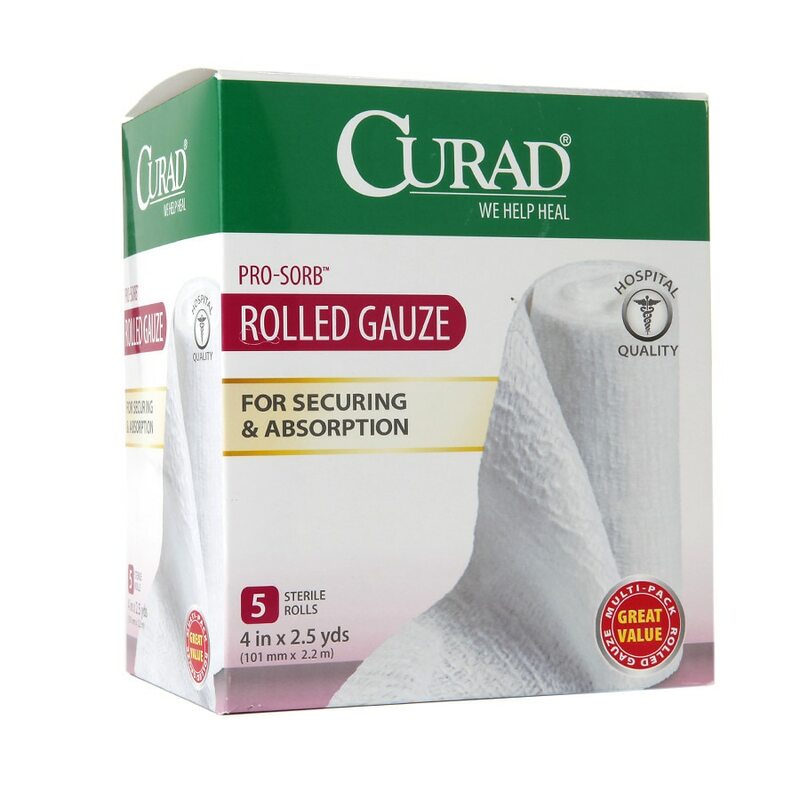 Curad Rolled Gauze is made with soft, low-linting rayon/polyester that cushions and is easy to wrap. It's ideal as an absorbent dressing to cover a wound, or as a wrap to hold other dressings in place. Apply gentle pressure to stop bleeding. Clean the affected area with mild soap and water and apply medication if required. Cover area with dressing and secure in place with Curad Pro-Sorb Rolled Gauze to absorb fluids and protect the site. For medical emergencies, please seek professional help. In case of deep puncture wounds, or serious burns, consult a physician.